I’m super excited for this tutorial today, because not only can you use it for Thanksgiving this year, you can totally use it for Christmas, and even make more general ones that you can keep up year round. Doesn’t everyone want ruffles in their life all the time?! 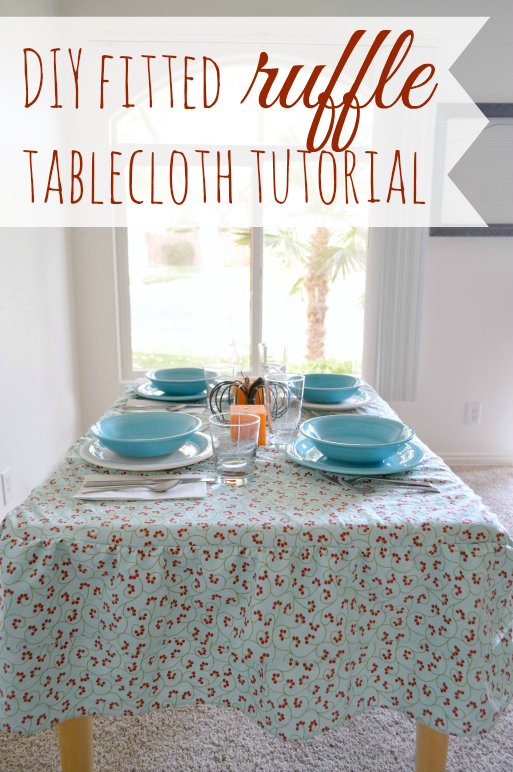 This tablecloth is super easy to sew, so even a more beginner sewer could make it. And it’s also one that you can make your own, by adding more ruffles, make it bigger, etc. 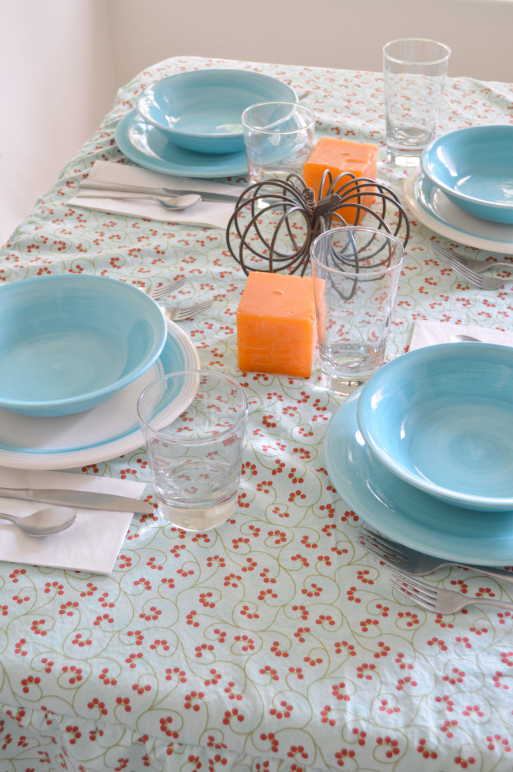 Measure your table to figure out the top piece sizing. Mine is 48″ x 30 “, so I cut my top fabric to be 50″ x 32”. That gives you a 1″ overhang on each side. I also cut two different widths. a 6 inch ruffle and a 11 inch ruffle. To get these lengths I figured out far from the table to the seat of the chair and then took off an inch so it wouldn’t actually hit. But of course, always account for hems and sewing such, so add an inch onto those widths. One the ruffle strips hem all 4 sides, with a 1/4″ hem. 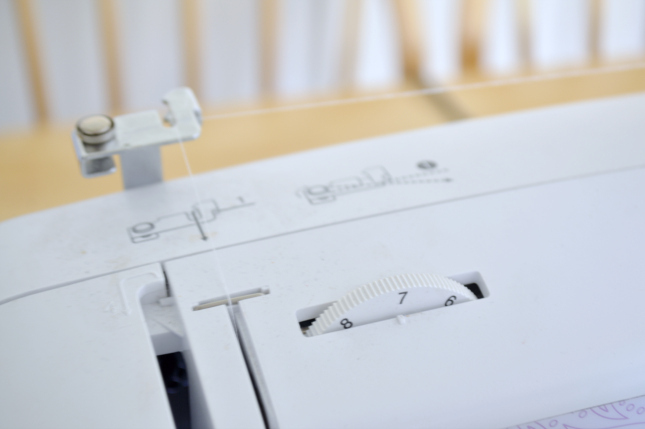 That means fold it over 1/4″ and then 1/4″ again and use a straight stitch down the top of it. Once you have done the hem on both ruffle strips, lay the skinny on top of the wide, with the un-hemmed edges inline. Now you’ll use my quick ruffle trick. 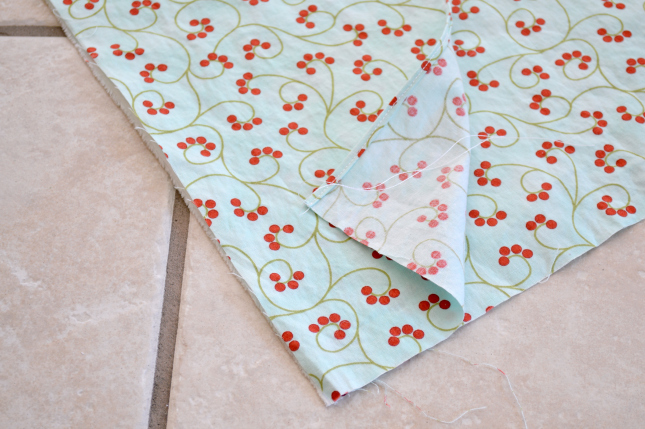 Use a straight stitch 1/4″ down with a tension of 7 to get it sized back down to the size of the table top. 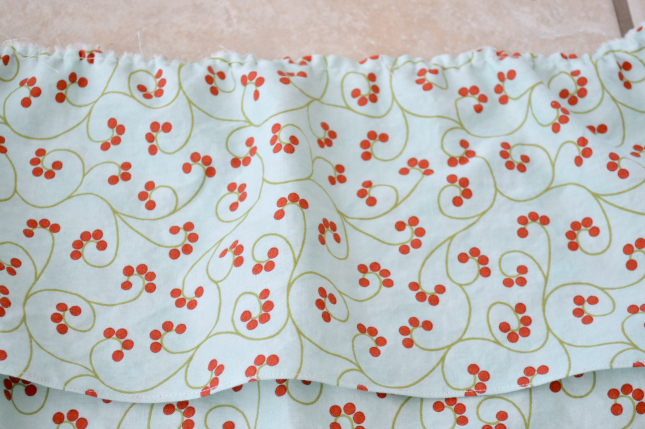 Do not back stitch at the beginning or the end, and leave a LONG tail of thread in case you need adjusting once sewn. If you need to, move the ruffle around a little to get it to the length you need. 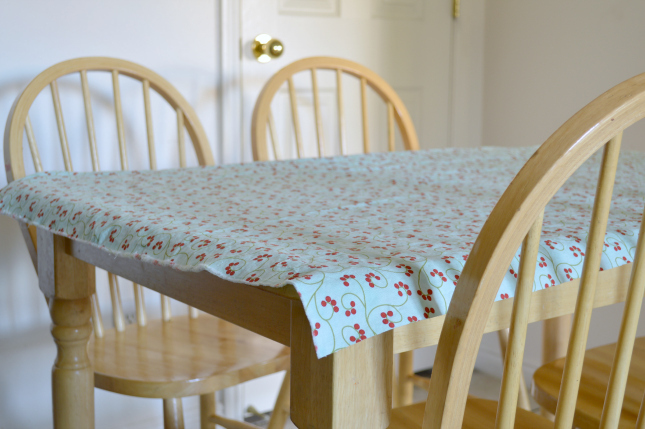 Leave a small overhang so that you can overlap at the end, when sewing it to the tabletop. Find the center of your ruffles, and this will be your starting point to sew. 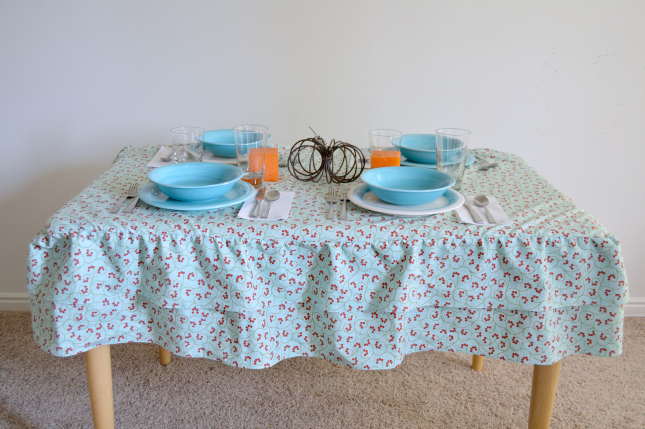 Pin that center to one of the corners of the table top, with ride sides facing in and the ruffle laying toward the middle. 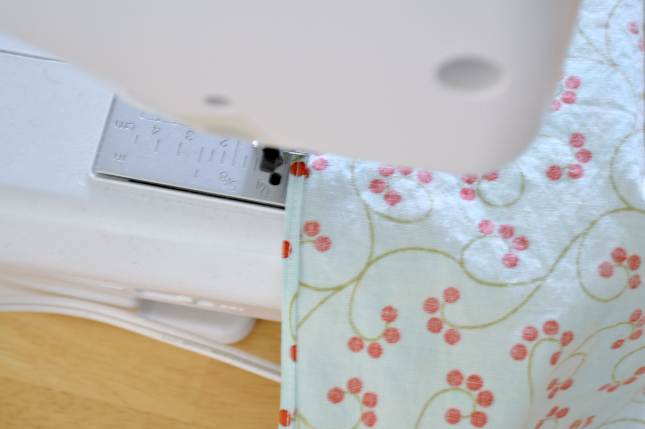 Sew around the edge, using a 1/2 inch hem. Then go back to the middle and start by going the other way until you are all the way to the end. This should give you the overlap that you need to hide your edge! 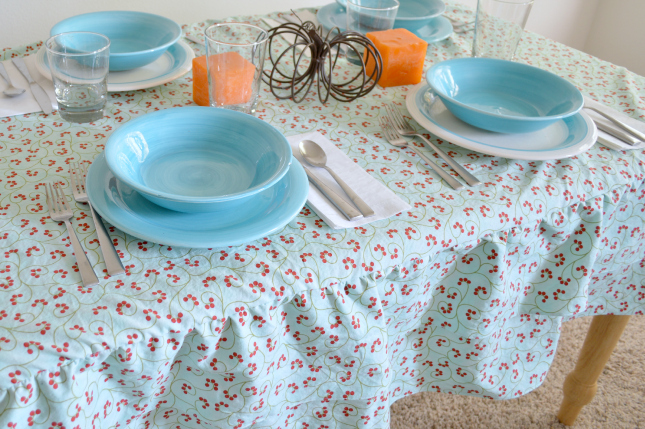 That’s it, you are done and you have an amazing tablecloth to use for your upcoming holiday get together! That turned out great Vanessa!